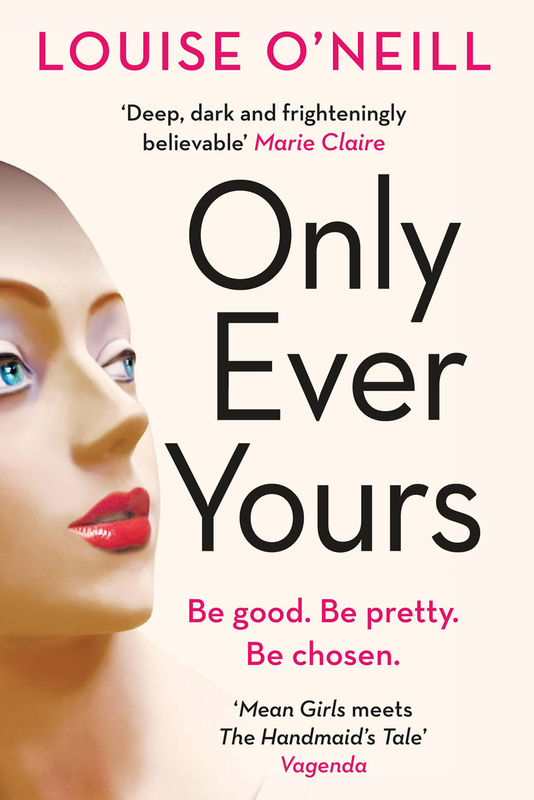 Only Ever Yours by Louise O’Neill was published in 2014 to much critical acclaim, winning The Bookseller’s first ever YA Book Prize and flying the flag for feminism in young adult literature, making it a title I couldn’t ignore. Freida is an eve, a girl created to fit in to one of three roles that the School designs and prepares girls to perform. She is trained in every way to become the ‘perfect wife’, to look beautiful, to listen, do as she’s told and ask no questions. If she isn’t chosen during The Ceremony by one of the potential husbands (known as Inheritants) then she has two choices, become a concubine, servicing the men’s needs, or to become a ‘chastity’ and stay within the confines of the School to care for future eves. However many Inheritants are born in any given year, it shall be necessary to design three times as many eves to satisfy demand. Once of age, the Inheritants will choose the most suitable eves as their companions. The remaining girls shall become concubines. In the uncommon event of an eve failing to prove attractive to the Inheritants, said eve will be inducted into the third of the chastities. Competition within the School is fierce, sniping, degrading and back-stabbing being everyday occurrences but frieda found a friend in isabel. Isabel was easily the most beautiful girl in class but instead of buying into the bitching, she was honest and embraced freida for who she really was. Then something changed, isabel drifts away and freida finds herself alone as The Ceremony looms and the men are brought in to judge their future wives. Only Ever Yours is an unsettling look at a dystopian future where young girls are moulded into creatures that men of society would see fit to marry. With their hair colour, eye colour and even skin tone chosen to be aesthetically pleasing, their adolescence is blur or hair, pills, make-up, selfies and diets. When frieda discovers some old books and questions a chastity on their contents, they’re taken away and never returned. Eves do not need to be educated or have opinions. The girls are often referred to by numbers instead of names and their names are never capitalised, reflecting the lack of humanity they are treated with. Their sleep and calories are controlled by medication and their eve ranking constantly pits them against each other in the beauty stakes. Freida is not a top ranker but with hard work and as little personality as possible, she has the potential to be chosen by a lower Inheritant and it’s this uncertainty that makes her such a vulnerable character. In desperation to survive in her surroundings she morphs from a sweet, likeable character into something quite ugly and occasionally unlikeable but every step of the way you understand her actions and feel for her situation. Whether she ‘wins’ or ‘loses’ her life will not be her own. Louise O’Neill bravely tackles issues affecting young adults head on. Sexual stereotypes (both male and female), sexual assault in a society that doesn’t support the victim and the general view of women in society. How I wish there had been books like this available when I was a teenager! Only Ever Yours is dark, disturbing and completely uncompromising. Whether you’re 14 or 70, this book will get under your skin and refuse to leave. In one novel Louise O’Neill has not only created an incredible story but has crafted a tale that encourages it’s readers to think about how the world around us treats women. Important as it is addictive, Only Ever Yours is something you have to read. Buy your copy of Only Ever Yours at Amazon here.